Queens Arcade, (beneath the escalators off Queens St entrance) Cardiff. 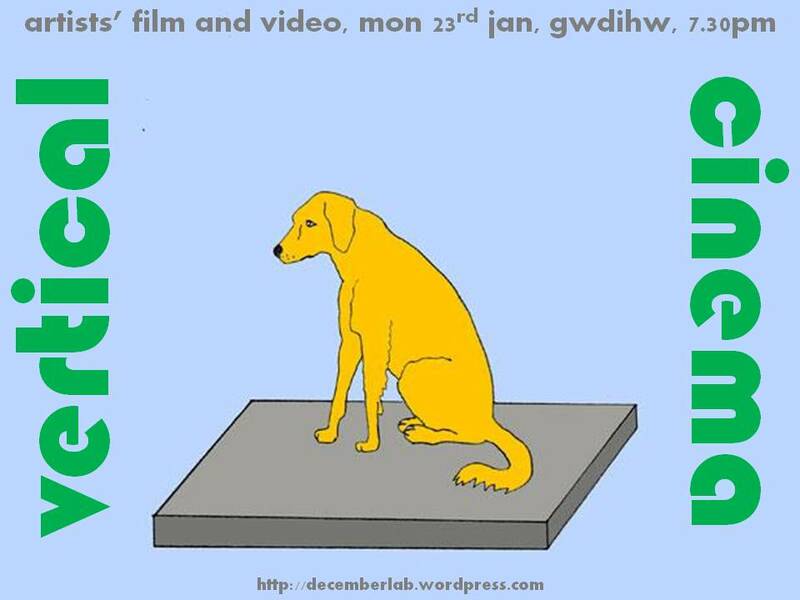 An extraordinary and eclectic mix of local, national & international artists’ film & video. Featuring Edwin Rostron; Christopher P. McManus; Liam Rogers; Idrioema; Sean Vicary; Stephanie Wuertz; Holly Genevieve; Toby Tatum; Alberto Cabrera Bernal; Yoshi Sodeoka; Wrightoid; Barrie J Davies; Chris King & Sabrina Ratte. You can find out more here. Hope to see you there. Happy New Year to you all! This month’s programme has a distinctly animated hue to brighten up the winter nights. You can see the full lineup here. Hope to see you there! Vertical Cinema is happy to host a screening of One Minute Volume 5 curated by Kerry Baldry and featuring the work of forty-five moving image artists. 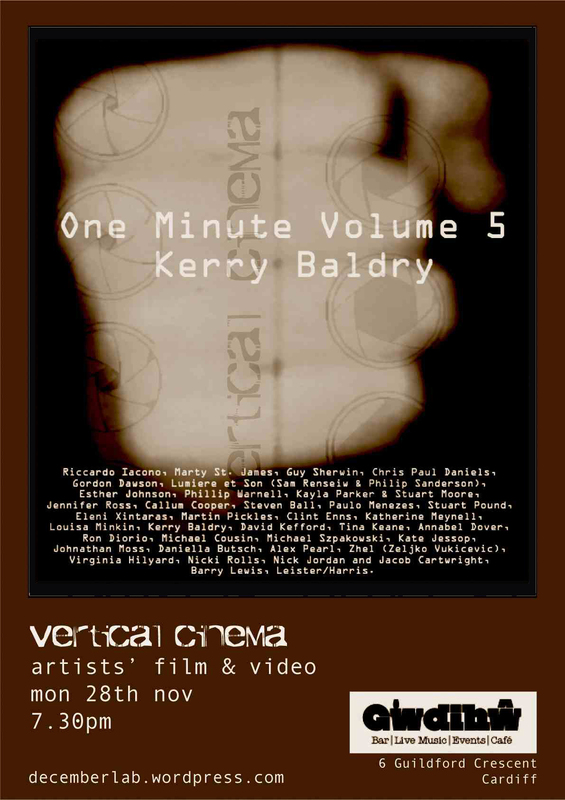 One Minute Volume 5 will also be prefaced by a series of Kerry Baldry’s own work. You can find out more here. Hope to see you there. 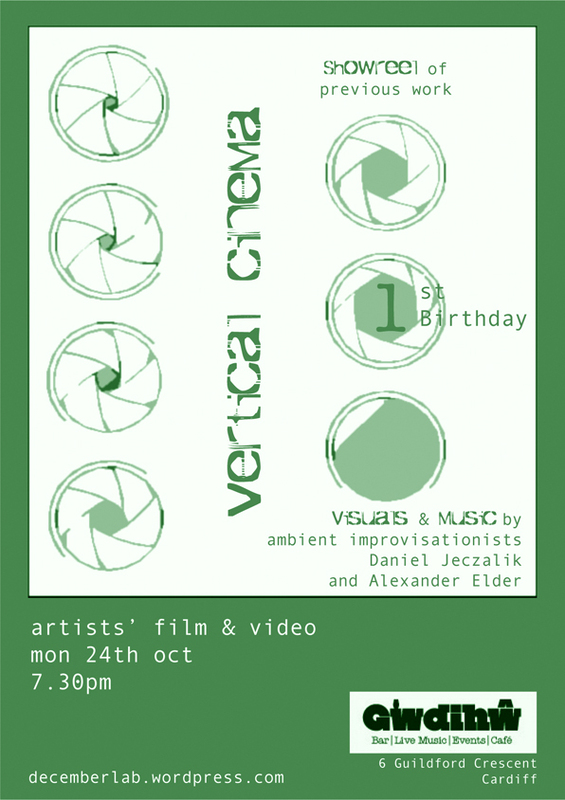 Featuring VISUALS & MUSIC by ambient improvisationists Daniel Jeczalik & Alexander Elder and a SHOWREEL of previous work. 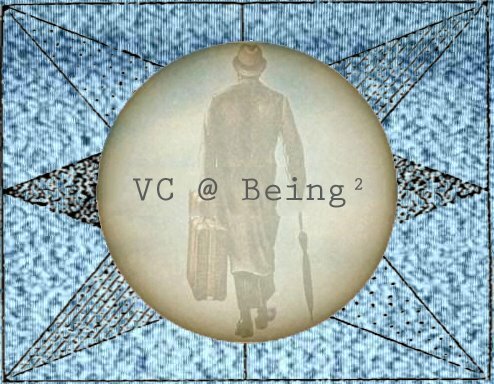 Hope to see you at this month’s screening. You can view the programme here. Hope to see you at the next Vertical Cinema on Monday 25th July. More information can be found here. 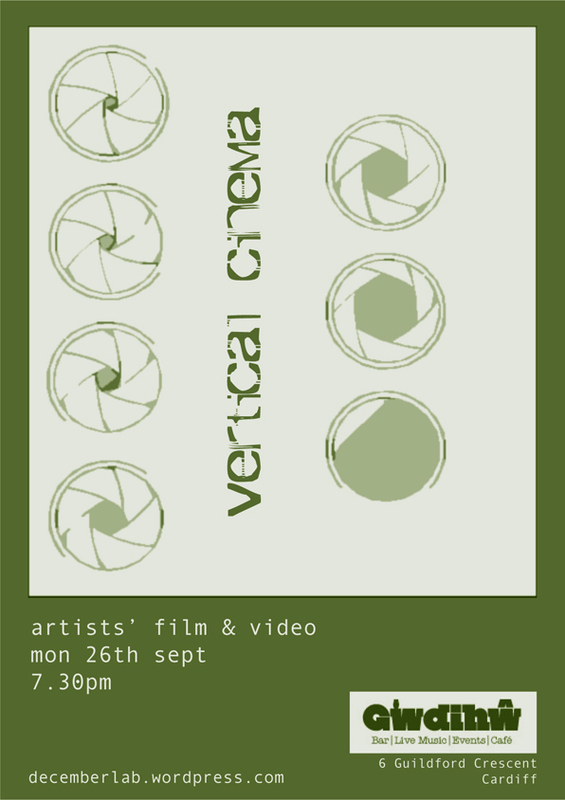 Hope you can make it to this month’s screening – a compilation of abstract, structural and found footage work. You can view the programme here.